Jet-lag is characterised mainly by fatigue and difficulty in sleeping at appropriate times after long-distance travel crossing global time zones. This exhaustion and lack of sleep can lead to or increase anxiety, confusion, e.g. during flight changes, impaired concentration and irritability. Physical symptoms may include impaired coordination and dizziness. It is a potentially greater problem for business travellers, who may have meetings soon after arrival. Travellers are well advised not to hire a car to drive themselves to their destination airport if jet lag is an issue. Jet-lag is thought to be partly caused by a conflict between the individual’s normal diurnal rhythms which are harmonised to daylight and darkness changes and also to the body's related hormonal/steroid levels. Changing to a new time zone means meals and other activities may occur at intervals different to which the traveller has been accustomed. Eventually the diurnal rhythms readjust to local time, but this can take at least 48 hours and sometimes up to 5 days after arrival at the destination. A forward time change, i.e. travelling eastward, means the traveller will not be ready for sleep at the later clock time after arrival. A backwards time change, i.e. travelling westward, is similar to staying up late which some find easier to adjust to than travelling eastwards. 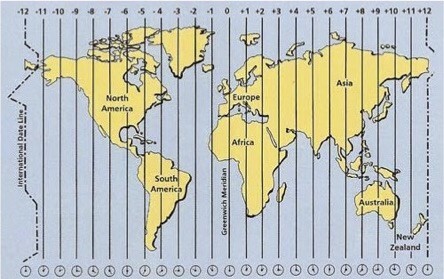 Jet-lag, due to these rhythm changes, does not occur on flights which cross few if any time zones, e.g. north to south, or south to north, but this does not mean fatigue is lower after these flights. Before travelling, going to bed earlier than usual for a few days if travelling eastward or later if travelling westward, may help but this is often impractical. Changing the time on watches and travel clocks soon after departure to the time at the destination can help. At the destination, it is necessary to adjust activities to the new daylight and darkness hours as soon as possible. Exposure to sunlight suppresses melatonin (see below) secretion from the brain so this is useful after arriving early on a flight which flew eastward. Wearing sunglasses may, of course, impair this acclimatisation to the new time zone. Melatonin is a hormone which helps regulate the body’s sleep rhythm. It is secreted as daylight fades and stops when it returns. Melatonin is not available on NHS prescription for jet-lag prevention and its effectiveness is not proven but some find it helpful. It can be bought at some private travel health clinics or online. If used, it should be taken 2 or 3 hours before the intended sleeping time. If a regular traveller finds jetlag a problem, then a mild hypnotic taken on arrival at bedtime in the host country can help and this is unlikely to become a habit if used only for a few nights. This needs a doctor's prescription.